You may also be interested in the sunglass visor clips with flames. 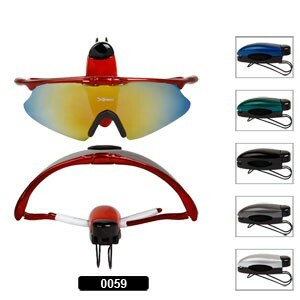 Click here to see all of the wholesale sunglass accessories. • Sold by the dozen. • Attach to your cars sun visor and hold your sunglasses in place.